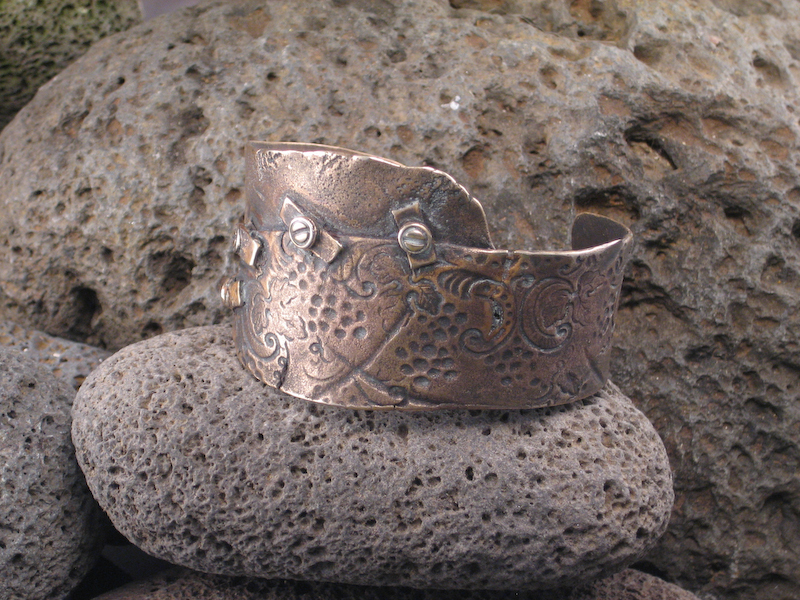 a regal cuff fit for a queen, the Glamazon is shimmering patterned bronze with sturdy rivets. 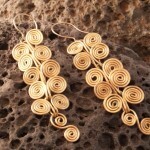 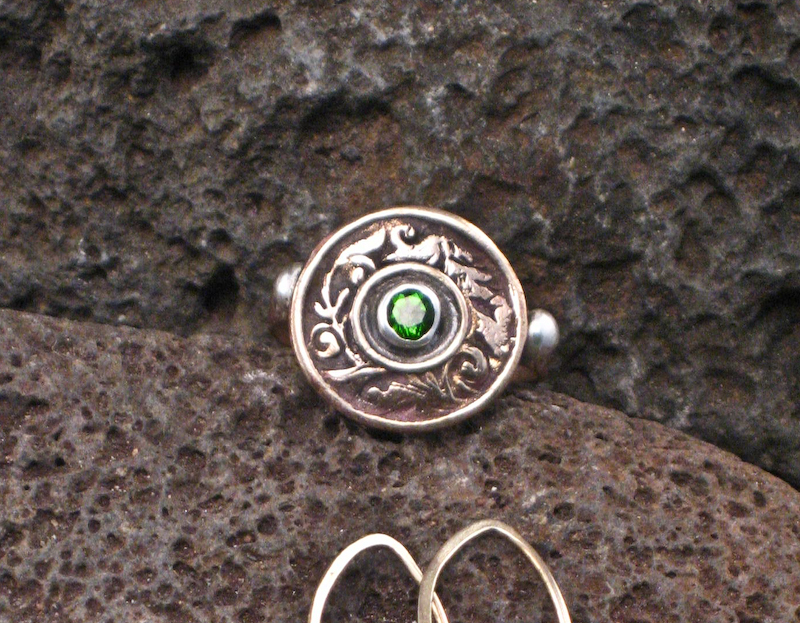 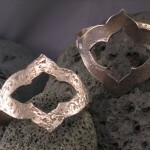 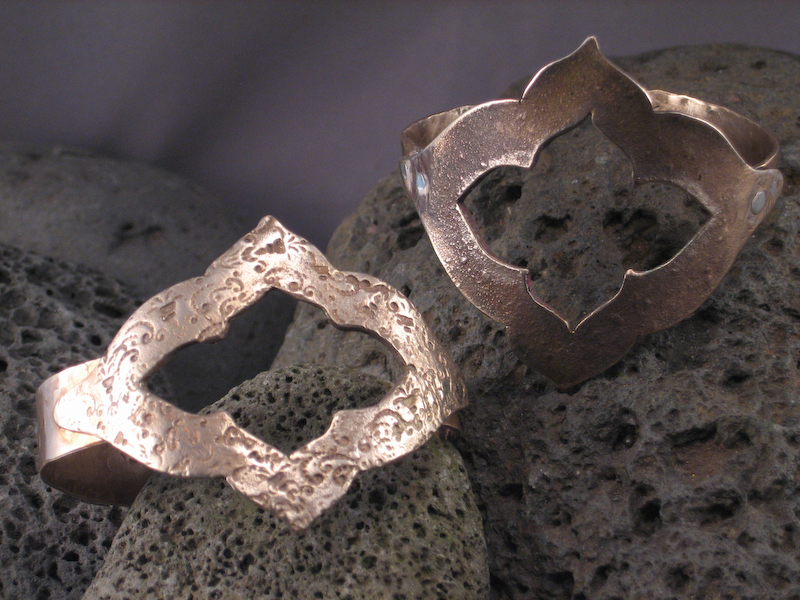 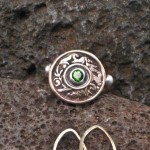 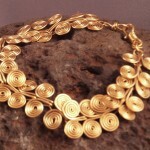 contact Skarlatti for availability in sterling silver. 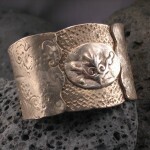 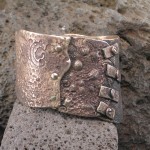 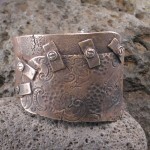 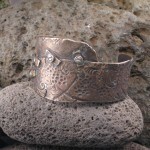 this one of a kind cuff doesn't give up! 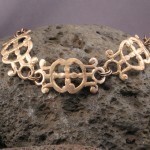 patianaed bronze with screws, bandages and rivets. 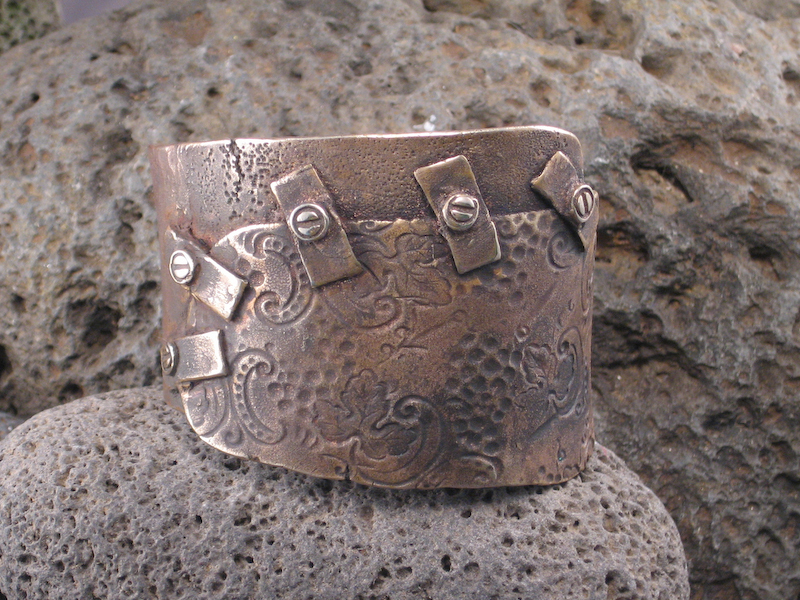 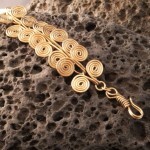 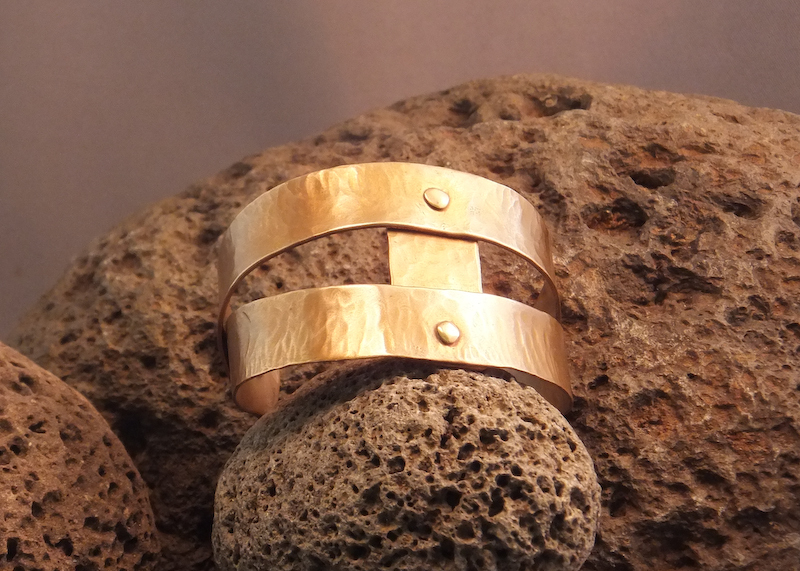 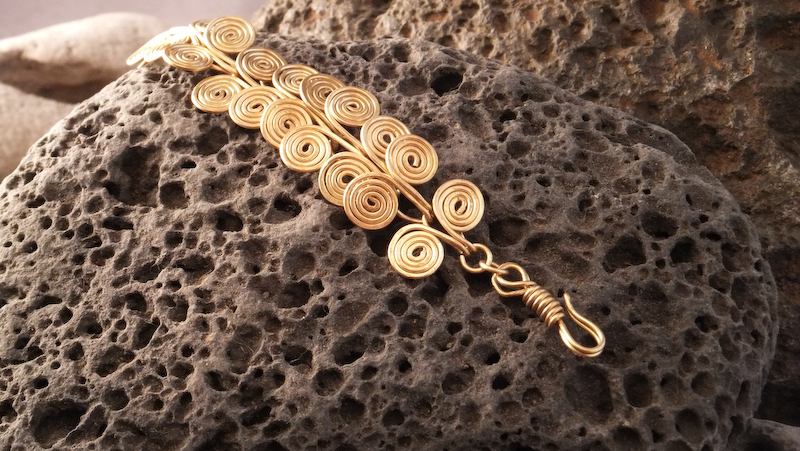 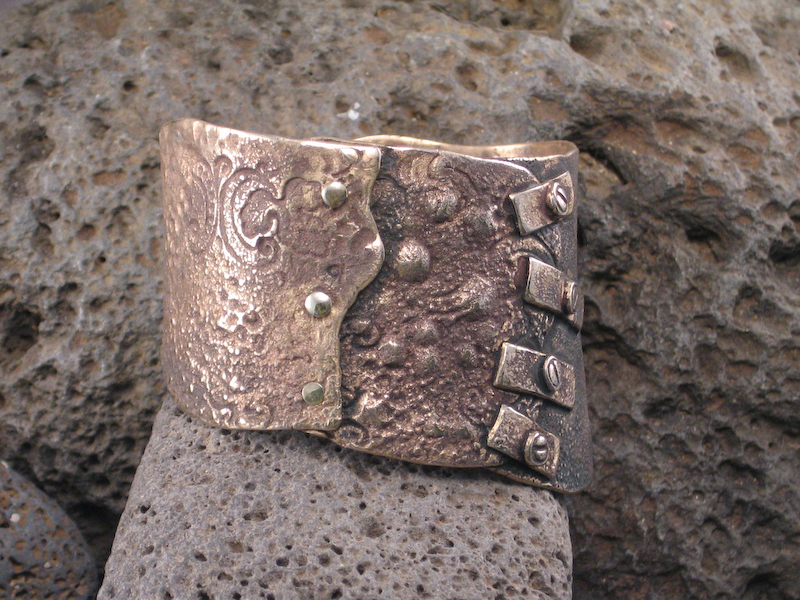 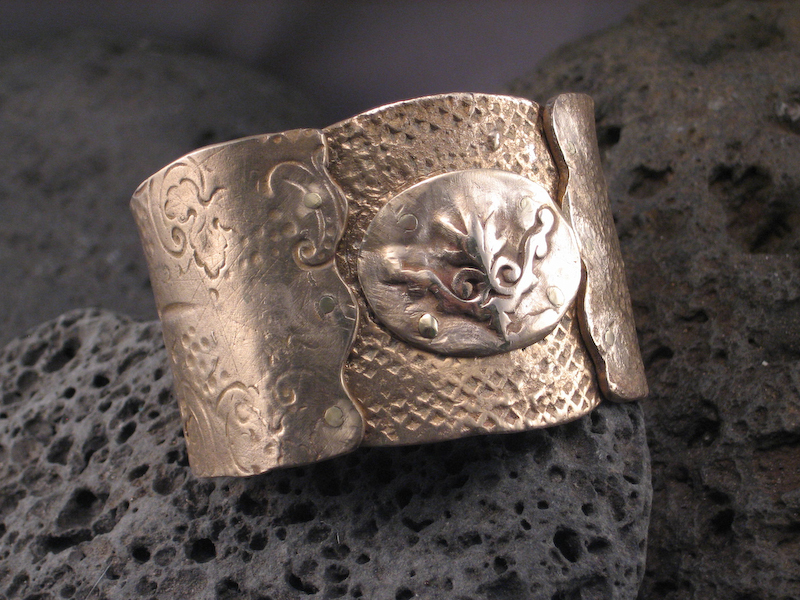 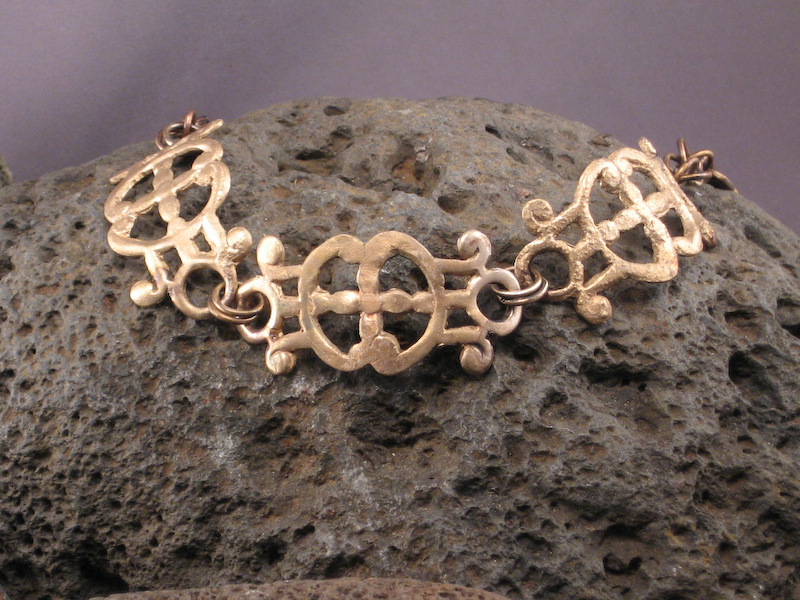 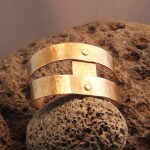 patinaed bronze cuff with screws and bandages. 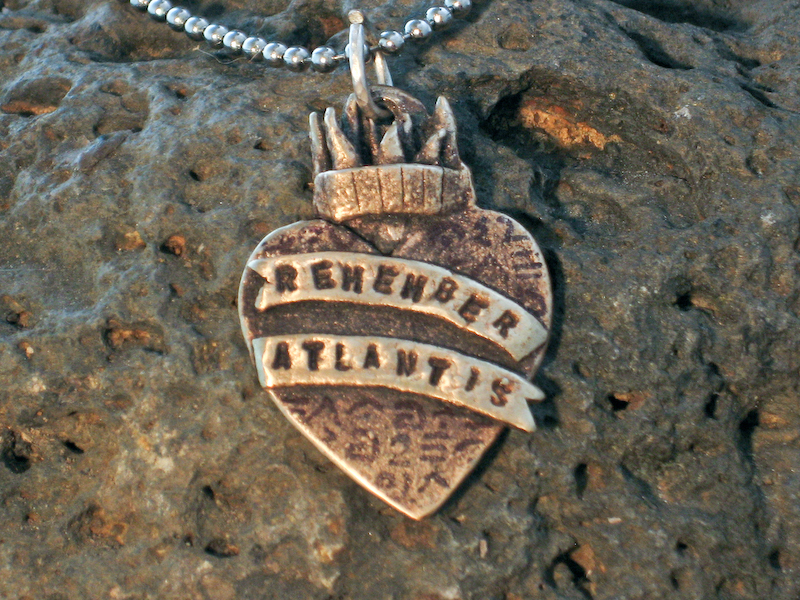 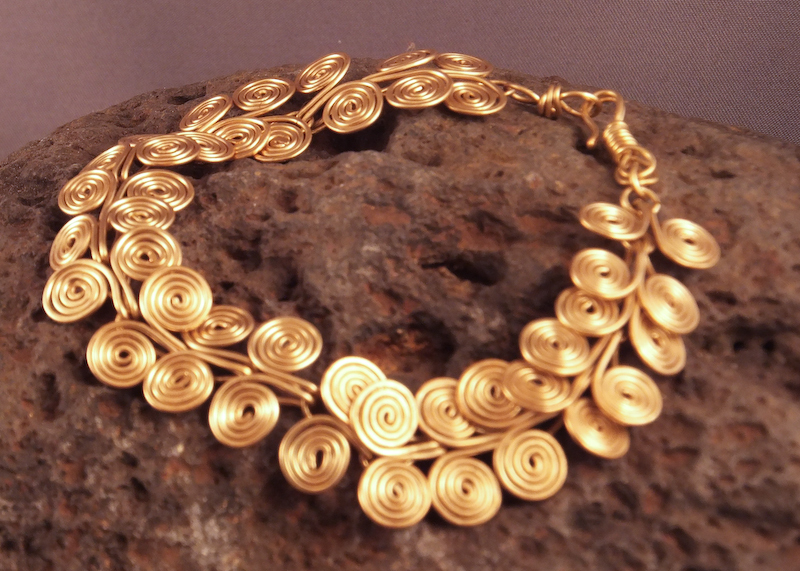 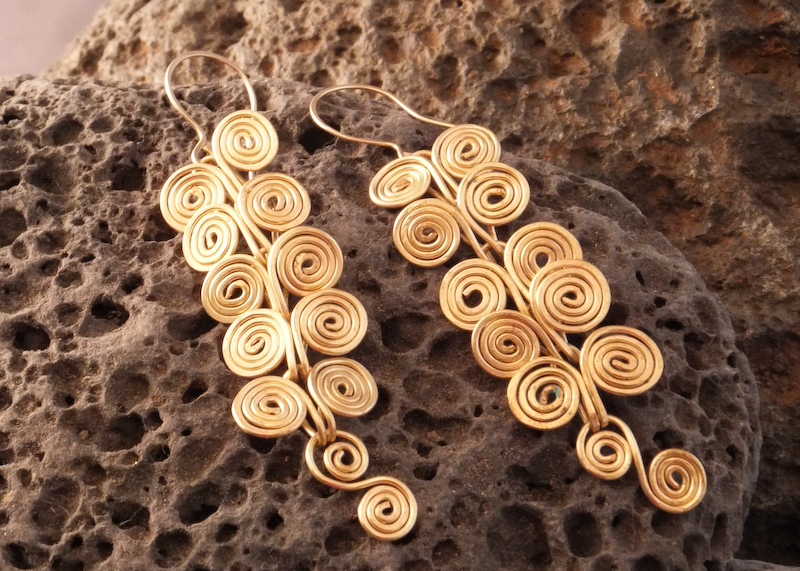 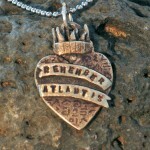 lest we forget… available in sterling silver.